Rolf was lifting grapes by age four and recalls planting vineyards with his father in 1972 when he was just twelve. 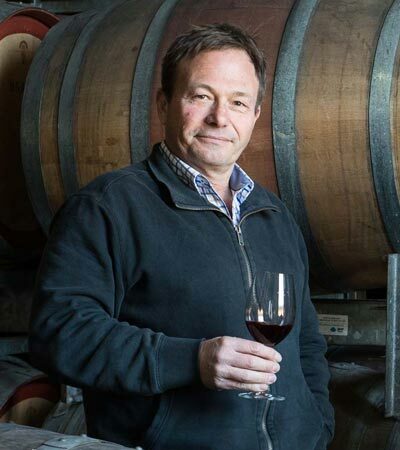 He worked his first vintage for Veritas in 1978 and later completed an Oenology degree at Roseworthy College in 1981. Following a vintage in the Mosel in Germany, Rolf began a series of experiments including left field wines such as a vintage port with Rob O’Callaghan at Rockford and then with Chris Ringland and Jane Ferrari, producing the first of the influential reds of ‘Three Rivers’. 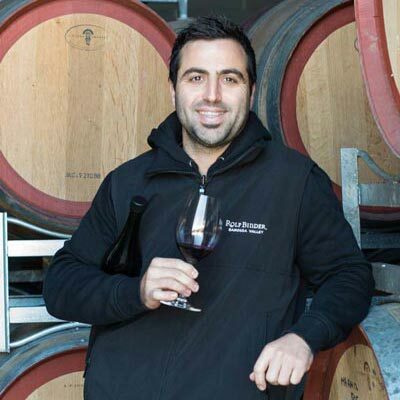 Rolf was awarded Barossa ‘Winemaker of the Year’ in 2005 and continues to craft world-class wines of distinction. When he’s not working at the winery or busy on his laptop, Rolf enjoys collecting first edition cricket books, growing fresh produce in his vegetable garden and experimenting in the kitchen. He’s also a board member of Regional Development Barossa, a government body that creates, connects and supports economic opportunities in the region. Christa’s first wine memories are the chug, chug of the piston pump, pumping grape must to the five open fermenters at the old winery and also the intoxicating smells of fermentation. She also recalls the many trips with her parents to the Iron Triangle in South Australia, delivering wine to many immigrant families. Some of them are still customers today. Her wine studies started in 1976 at Roseworthy College and during this time she also gained winemaking experience in Germany, France and Austria. In 1982 she was fortunate to gain a position on the winemaking team at Wolf Blass, being mentored by John Glaetzer, Stephen John and Chris Hatcher as her area of expertise developed in white wine and sparkling wine production. In 1989, Christa and her husband Leon Deans worked a vintage in Champagne at various press houses and wineries. 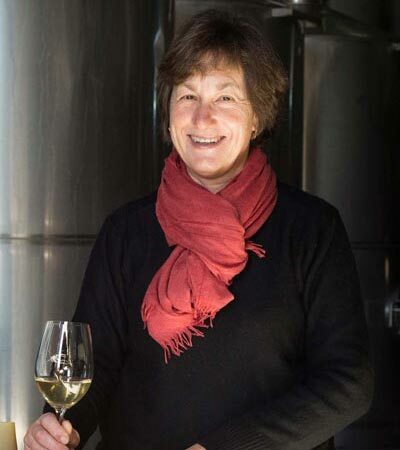 Since 1994, Christa has been making white wines for Rolf Binder and is highly regarded for her work, earning a joint Barossa ‘Winemaker of the Year’ award with Rolf in 2005. Her Riesling is something truly special and she’s absolutely brilliant in the kitchen. Originally from the Riverland, South Australia’s ‘fruit bowl’ on the Murray River at Renmark, Harry turned his attention away from the peaches, nectarines and oranges his parents and uncles grow, to grapes and wine production. Harry successfully completed his Oenology degree at Adelaide University and became entrenched in the business of making wine. His passion for premium wine led him to the Barossa where he joined the Rolf Binder winemaking team in 2008. Today Harry manages the daily operations of the cellar, organises the busy vintage season and works closely with Rolf and Christa as they taste and blend the final wines. His willingness to commute to the Barossa from the southern area of Adelaide each day is a true testament to Harry’s dedication to our business and the great wines that he makes. After spending many years in the United States and Europe in corporate sales and marketing roles, Cynthia decided it was time to move home to the Barossa Valley to pursue a career in the wine industry. It was time for a ‘fun job’! After meeting Rolf at a winery Quiz Night, she joined the team in December 2012 and spends most of her time sharing the Rolf Binder story through many different channels. Cynthia is also a keen gardener and can often be found in the cellar door garden that she planted in 2013 with help from the vineyard crew. She also loves to spend time behind the tasting counter chatting with visitors and sharing tips on other Barossa attractions. Cynthia also manages ‘Veritas Cottage’ B&B accommodation and really enjoys meeting the guests that visit from all around the world. The delightful Lauren joined the RB crew in October 2017 after some years in the industry, having worked 4 vintages for Pernod Ricard (Orlando) in Tanunda as well as plenty of time behind the bar for other local wineries. Lauren’s a bright & bubbly Barossa girl with a keen interest in wine, travelling and sport (she’s even Captain of the Tanunda A Grade Netball team). Our visitors and wine club members have been enjoying having a chat with the lovely Lauren on the phone or during a tasting at our cellar door. Carlene is a legendary member of the team as she has worked with the Binder family for more than 40 years. 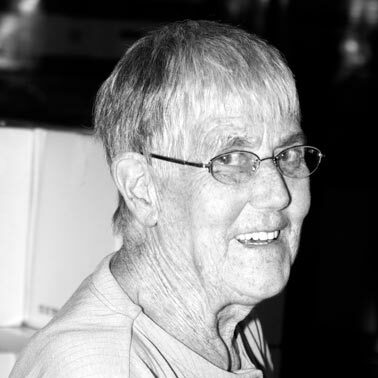 She began working with Rolf and Franziska Binder at the old winery on Langmeil Road – picking, pruning, selling wine, bottling, labelling, blending fortifieds, driving the forklift, preparing meals at festivals,…..the list goes on. She’s pretty much done it all! These days, Carlene has the critically important job of manually labelling/stickering certain wines and bottling all our fortifieds. She comes in to work when it fits in with her fishing schedule and lifestyle, and let’s the rest of the team know when it’s time for daily ‘smoko’. After selling his own vineyard in the Barossa Hills in 2010, Sam came to work for Rolf Binder as Vineyard Manager. Since then, his vast experience, hard working nature and attention to detail has dramatically lifted the quality of the fruit that is harvested from the estate vineyards. Corey’s a local boy who seems to know how to do pretty much anything thrown at him! Strong as an ox and amazingly helpful. He’ll often help Cynthia with various random tasks, like moving furniture and working in the garden. 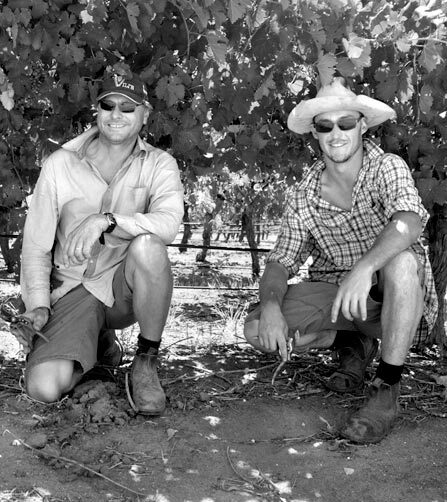 In 2014, Rolf purchased a vineyard block in Vine Vale and Kym had managed that vineyard for many years. He’s brought valuable knowledge and vineyard experience to the team.